Title-chasing Glasgow City and Hibernian both enjoyed 8-0 wins, ahead of Wednesday’s fixtures at home to Spartans and Rangers respectively. Glasgow City thrashed basement side Aberdeen 8-0 to remain two points clear at the top. Hayley Lauder opened the scoring after Megan Foley hit the bar, with Jo Love then scoring either side of setting up Katie McCabe to finish. 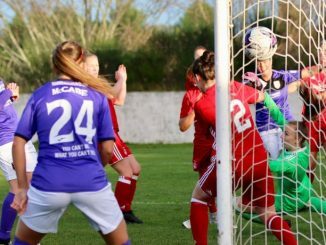 Carla Boyce got the fifth on 57 minutes and it was into the final 10 minutes that Noelle Murray bagged a brace and Joanne Paton fired home a volley. 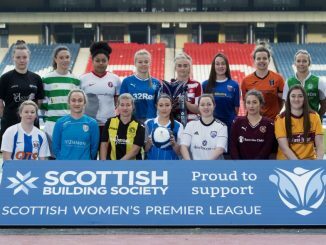 Hibernian matched that scoreline against Spartans, aided by Rachel McLauchlan’s five-goal haul, to keep within striking distance of the reigning champions, whom they meet in November. McLauchlan got the ball rolling on 27 minutes and Katey Turner doubled the lead by half-time. 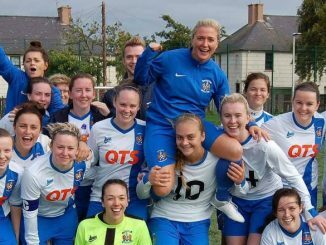 Lisa Robertson scored in-between McLauchlan’s next two goals, Abi Harrison then getting in on the act before McLauchlan got another couple. Third-placed Celtic moved 4 points ahead of Stirling University after beating them 4-1, having effectively sealed the victory by half-time. 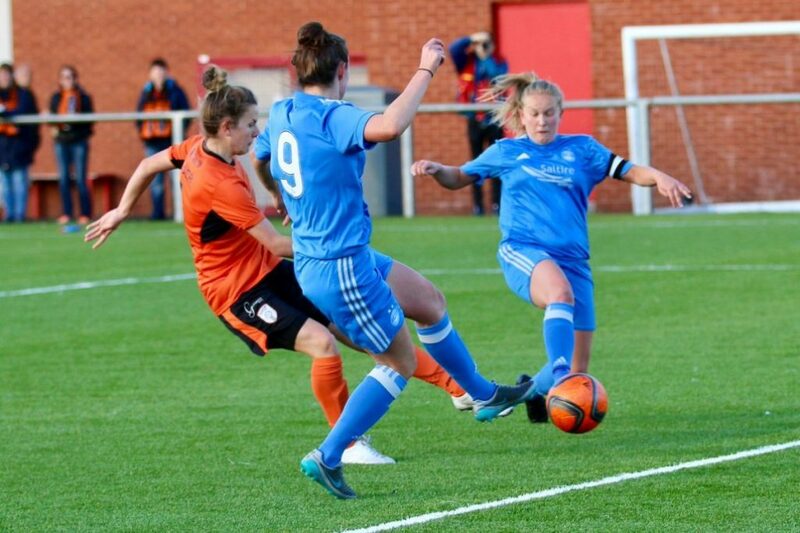 Sarah Ewens contributed greatly to the first two goals, crossing for Jamie-Lee Napier to score at the back post and then forcing an own-goal. Heather Richards then had a hand in the other two goal for the Hoops, as her corner was headed in by Natalie Ross and when the keeper spilled her through ball, Ewens was on hand to tuck it away. Nicole Pullar later got a second-half consolation for the student side. Rangers slipped to a 2-0 home defeat against next to bottom Hamilton Academical, who scored in either half. The Accies took a 31st minute lead through Megan Quinn and Kodie Hay gave them a two-goal cushion on the hour mark. Having sealed the title, Forfar Farmington went down to a 3-1 defeat at Edinburgh University Hutchison Vale. Anna Hume, Nichola Sturrock and Margaux Durand-Watson all scored before Forfar’s late reply. Glasgow Girls’ 5-2 win from a goal behind at East Fife lifted them into second position. Megan Logan and Georgie McTear both scored twice and Kirsty MacDonald got their other goal. Motherwell dropped to third after losing a seven-goal thriller at home to Hearts. Botom of the table Buchan lost out to the only goal from visitors Jeanfield Swifts. Amy Henderson headed home in the third minute of stoppage-time.